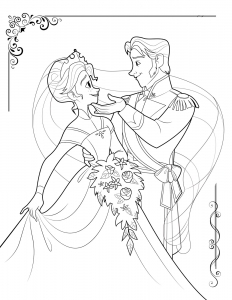 This movie has surpassed The Lion King and became the most successful Disney-produced animated film ever ! 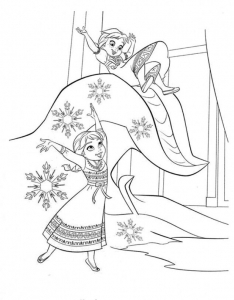 Frozen was designed by the same team as the famous Tangled (Rapunzel). 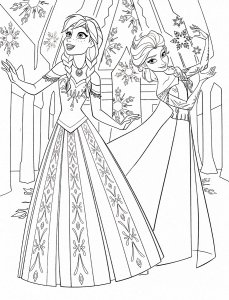 The story is simple : In a fantasy kingdom plunged into cold, young Anna is looking for her sister Elsa, the Snow Queen. 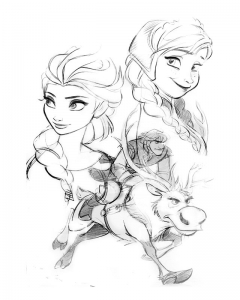 To do this, she can count on the help of her friend Kristoff, and his reindeer Sven. 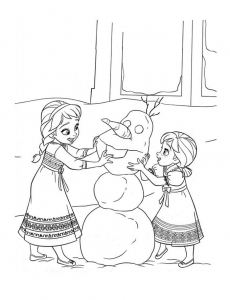 Their adventures make them meet with a snowman named Olaf ! 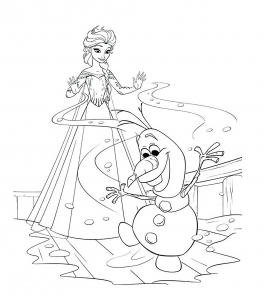 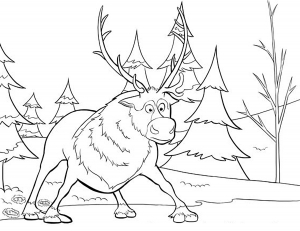 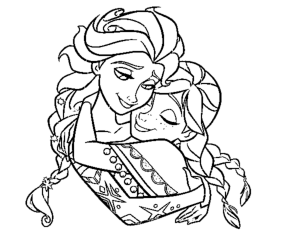 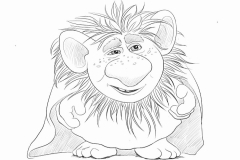 Simple Frozen coloring page for kids : The whole team !